Rated 88 points - posted 10 years ago by gopher in category Software. I tried both Modo and Maya extensively. Modo simply doesn't work on large scene, doesn't matter how powerful system you have (mine is a + £5000 from 2013, and yet modo cannot handle anything large, simply clicking on a menu may result a 20 second lag. It is when your scene becomes somehow more complex, like 6-15 million poly. While Maya is super smooth. Modo is also EXTREMELY buggy, some tools are half made - and what is shocking that it may crash in such a way that you cannot open your scene again, unless you have a backup secondary file. I had 3-4 occasions like that !! Modo is great though for modelling individual objects, in that it is much better than maya - but just never ever attempt working on large scenes at all, and Modo is just not suitable for animation because it has very slow viewport playback. 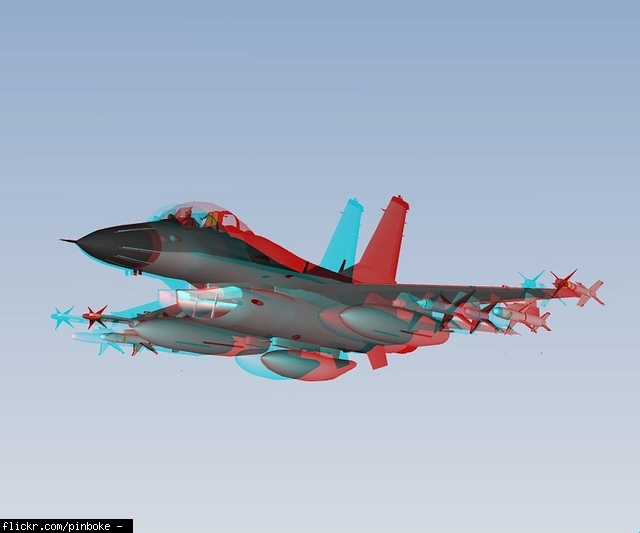 While On Maya, most animations are just real time. Modo's render is on the other hand really great. I almost think Modo team should stick to modelling tools only and develop a Maya render plugin rather than trying to be the "next Maya animation package" as they are years and years behind in that area. The trouble is that they try to come out with new features all the time as they want to become the "next Maya", and it doesn't makes sense as first they should make tools absolutely crash and bug free. They are just trying to build a tall building but the foundation is really shaky There is a reason for the price difference, and there is a reason why most serious studios use Maya. 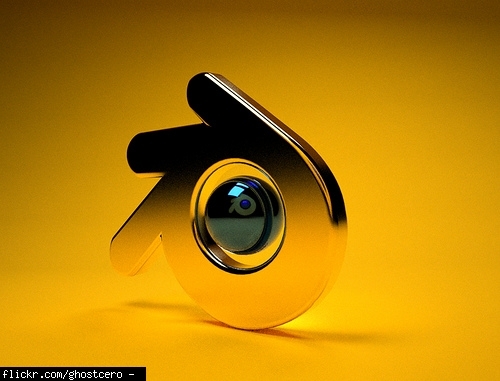 Modo 601 can overcome both maya and blender.i really advise you to test it. if you are looking to just learn or start to dip your feet into 3D as an extension of your graphic design, illustration or even web work, then you might want to just get your hands on a free program like blender. Problem is, b/c a program like maya is a mature program, there is quite a bit of documentation available as well as scripts and helper plugins that can make your workflow more efficient and productive. You can always download the PLE [personal learning edition] of most any piece of software to see what you dig or what matches your needs. And few if any artist, buy the program...I will leave it at that. Artists that buy maya or any other program have their own side companies or simply have been in the business long enough and make a living because of this tool that they buy a copy so that they can interact more transparently with the likes of an Autodesk...which makes sense for a professional of many years who would have much more informed questions or specific problems to solve that might not be standard fair that he/she could find an answer for on the net. It's the most common with big companies but that doesn't mean it's the best. Companies like Pixar work on projects for many many years so it's best not to change software halfway through. And you also need to retrain employees if you change software. 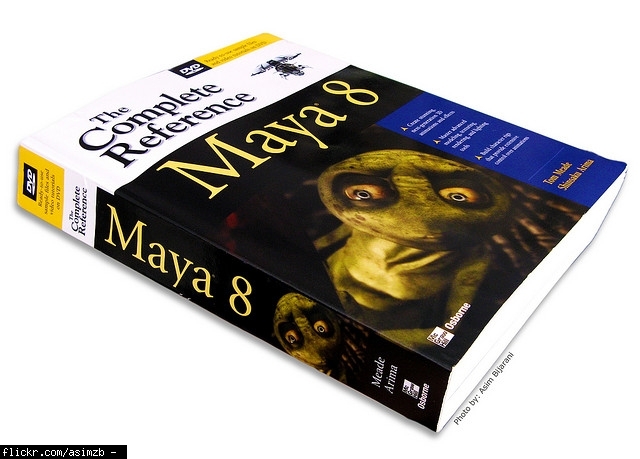 Maya used to be the best but now it lacks updates and isn't the best at all. It has a good interface and it's a very good program, but if you're an indie designer DONT BUY THIS. Big companies use it because it's common, not because it's good. Blender is very good without even considering price. I've used both Maya and Blender and I like Maya's 3D space navigation and UI a lot more. But everything else, Blender does better. 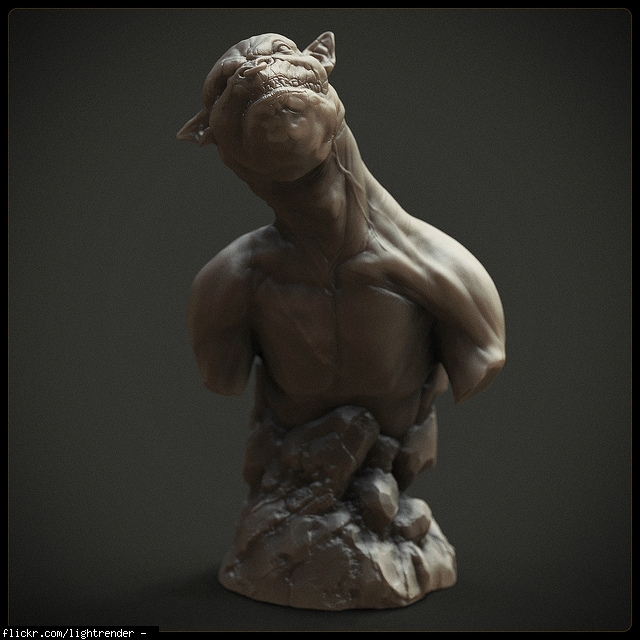 Blender + ZBrush = Anything is possible ZBrush is a freeform modeling program. It's for modeling objects, not scenes. It's AMAZING for organic modeling because of its Zsphere modeling technique. I'm adding it to this list, go Google it and vote it up when you're done researching its awesomeness. Of course it is a very Oceanic software Deep and unlimited, when u master it believe me nothing is going to stop u cuz u will be the best Maya is the Hardest and Artisty capable 3D Software ever. Eh hate to tell you this bro, but cost/freeness isn't everything. 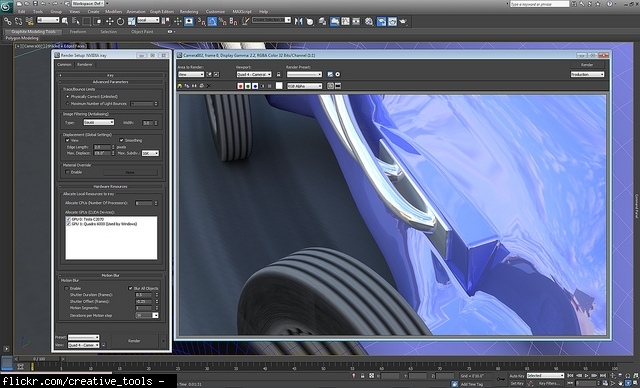 Maya is used by the majority of graphics houses. 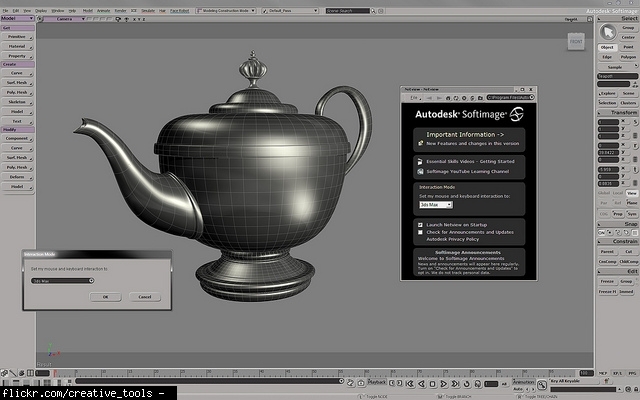 Pixar use Maya, and built a renderer and shader language for Maya. Compared to blender it's UI is wonderful, it's ease of use is more than double. It has allot of features that blender will never be able to do well. And that maya does with the click and drag of a mouse. It's animation suite is bar none the best thing out there. Why is this at the top??? It's a ripoff!!! compared to blender it costs nearly $4000. 3D Max has proven itself as a robust platform, that is why it still continues to be the most preferred platform by most 3D artists. By just considering the facts on the ground, its quite clear why 3D Max and Maya are at the top. Freeware is good, but when it comes to real quality delivery, most lose out. 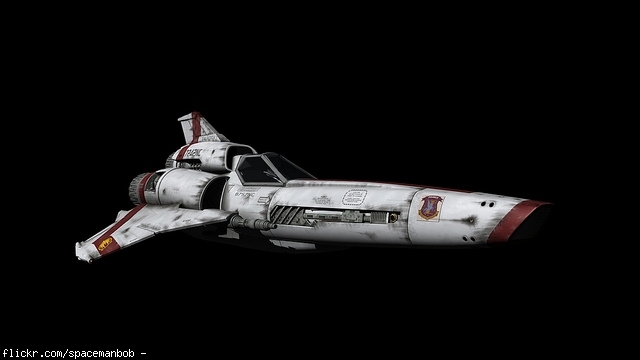 Blender is a very powerful tool when you know how to use it right. It isn't easy to learn, il give you that, but it is very effective when you have enough experience to actually get something done. Blender is the best 3d tool to work with, it doesent matter if ur a starter or a pro, since its so easy to get started with blender and so great to create pretty much everything that comes to minds for a pro. and all this u can get absolutely 4 free. 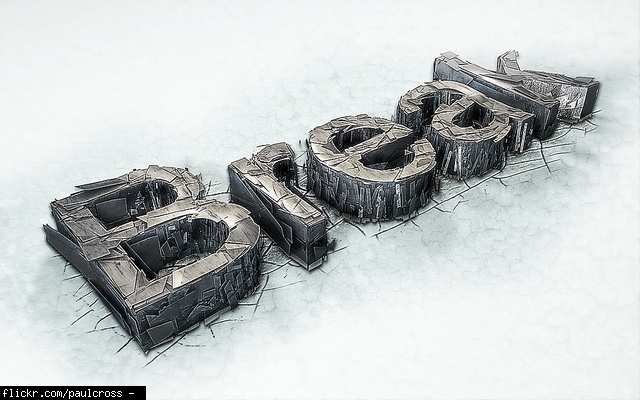 I love this program and its the only tool i use 4 my renders. it supposed to be on 1st and definitely above 3dmax . . . 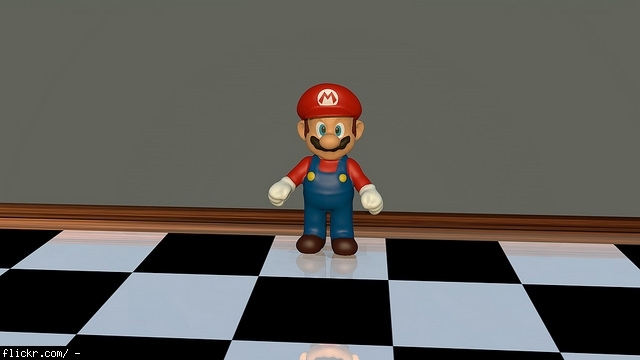 This is the best 3D software that ever have existed. It's open source, witch not only means that it's free but also that everybody can develop it. You can use it for 3D animating, rendering, modelling, composting, video editing, making games, Camera tracking (coming soon), python scripting and a lot more. 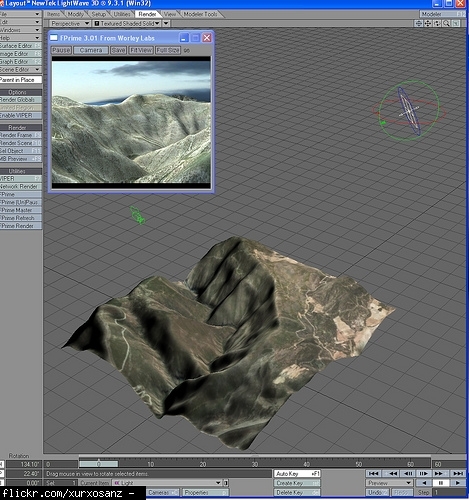 Blender can be realy hard for beginners other than that a very powerful tool. WE CAN RUN BLENDER ON 256 MB RAM!!! GOD HAIL BLENDER!!! Occupies less than 90MB on your hard disk and is very very powerful! It is installable and portable, also fits into a pendrive Can be used on Linux, Windows, Mac and FreeBSD! Blender just has a different interface. It's like an englishman going into China. Once you understand the language barrier, Blender can do anything and everything any other 3D graphics program can do...except...it's free. Win! oh by the way blender can do MORE!!! it ca also create games without programming!!! 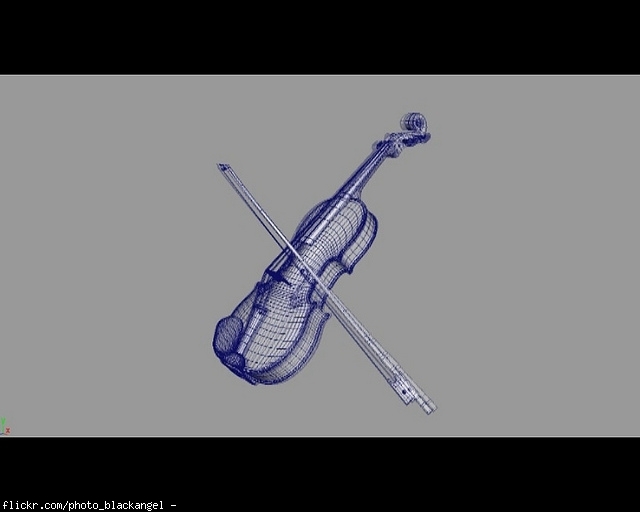 Blender can do any thing maya can do and it's free and simple to use!!! Much Easy and intrusting software...all kinds like as GFX & VFS and al things u can do with it..
C4D + VRAY Is Great and Make a Real Wolrd. Comparable to Maya. Essentially able to do all the things maya does. Some aspects much better and some less attractive, depending on what you want to use it for. For your nuts to bolts 3D, able to rock it as well as Maya imo and I have used both for film and commercial productions alike. However, unless you live in the UK or Europe, in general, even though I love XSI, I would not recommend learning it over Maya because, frankly, not as many studios use it in the states...and as a newby to 3D it would be best to add this program onto your skillset later in your learning progression. Learn tools that studios use...if you are looking to get a job at those studios. You can pick up other tools that you like and learn them so that you have more choices down the line but know that not knowing the main packages that a studio uses will serve as a limiting hurdle for you to get into a studio sometimes. This is not always true as I know and have witnessed sheer talent overcoming such a maxim...but know that that is the exception and not the rule. 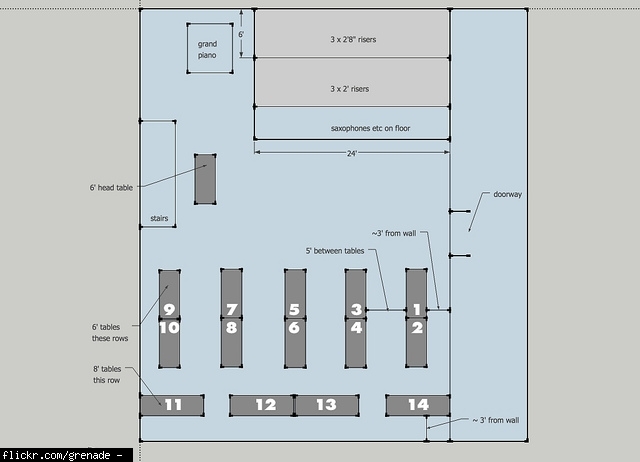 3D modelling is hard, but Sketchup makes it much more accessible. Sketch-up is good, but with the modifier of, for what it is. Sketch-up tends to be very unintuitive, and doesn't do non-square geometry very well. At the area it's at I think it's in the right spot, the ones above it are generalized 3d pakages, and tend to do much more much better than sketchup. 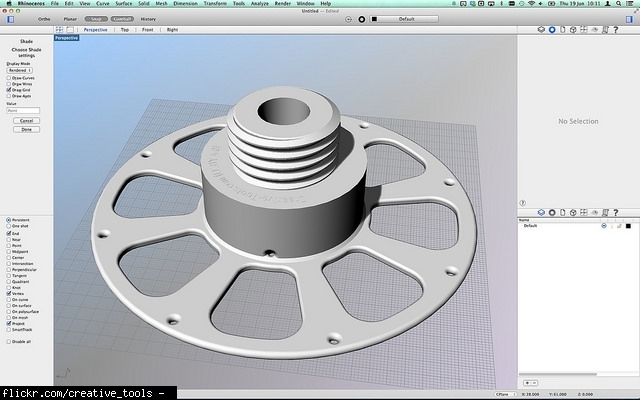 Mark my words > Modo will be the best 3D app in the world. Soon will be number one in the list. Just be patient. 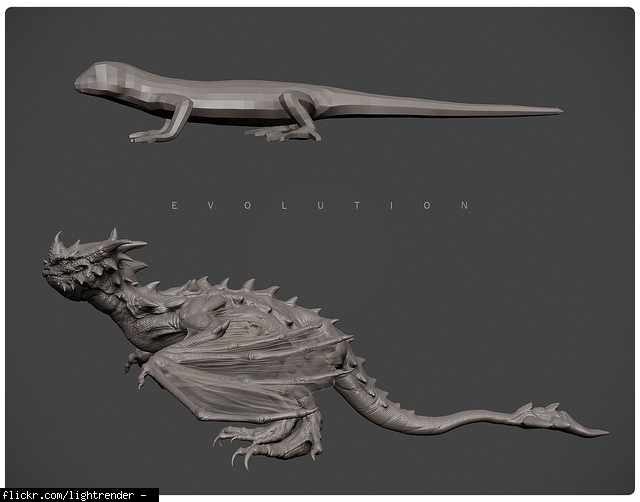 A complete package for 3d designers and artists. Very modern tools. 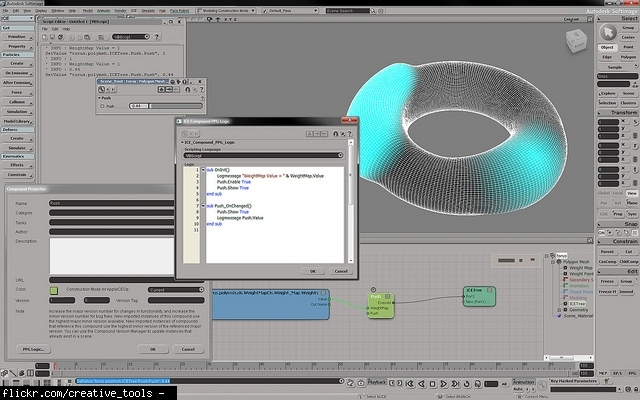 Best software for organic modeling, by far. it is now becoming quite good for hard body modeling as well. If you are a modeler or aspire to be one, then knowing this program (or Mudbox I suppose) would be smart. It's simply amazing. And, it's price is the exception for most 3D software. It is relatively cheap now ($600) and that price includes upgrades and addons and everything in the future. That is the company's policy right now. So unlike a maya, an artist would likely buy a version of this...bc it is affordable and it just plain rocks. 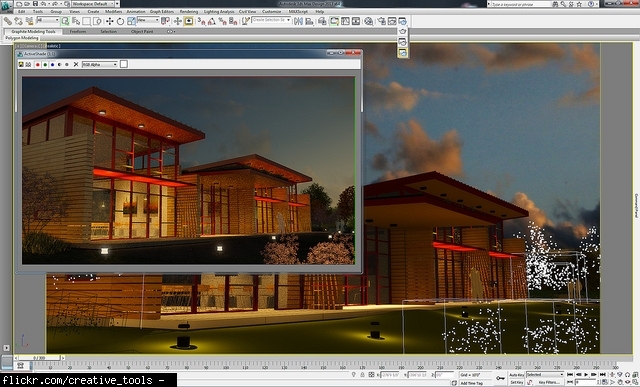 its a very easy to use and inexpensive piece of software, and it does nice work. 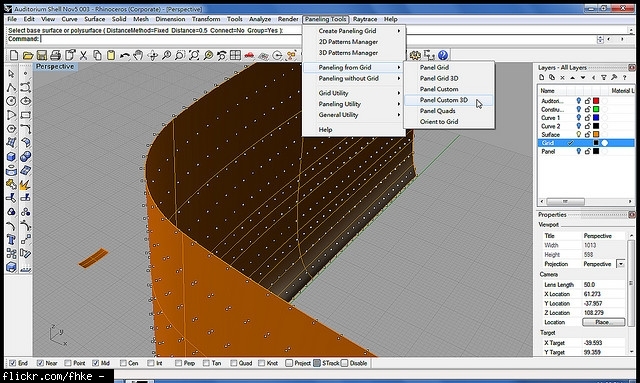 Great modeler with almost every function you could ask for. Ease of use, beautiful renders. If you have used other 3D programs and have a sense of what you are doing, then definitely get Pro so you have all the tools you need from the get go. This is a illegally re-branded version of Blender. Do a google search and you will find that Blender.org has specifically mentioned this company and product as a scam. I would remove this very quickly if I were you. From skyscraper to hand watch. Name it, this piece of software will do everything in precise way. It is very affordable and easy to use. it's like Rinocerous 3d and is easy to use and get something made really fast. It's cheap compared to other expensive 3d software out there and the files can be exported as flash. 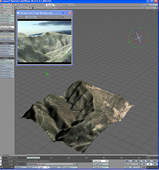 Powerful modelers - vertex, spline, metaballs, trees, terrains, sky, clouds, etc.. Lot of primitives and modifiers. Lot of shaders and displacements functions. 3D paint. Figures functions, genesis, morphs.. Intuitive animations. Standard and bullet physics for animations. Particle emitters. Complete possibilites for render - photorealistic or draft. And you don't need to sell your car to buy it. And Daz models are cheap too. I use Vue 9 Complete, I like using Vue and the renders are nice, but the having to pay for the little things (Trees, Plants, textures) is a big minus for me, the few they give you just is not enough and having to spend $10 for a tree is a little hard to swallow after paying so much for the software. fantastic and pretty much unparalleled as a tool to create realistic environments and heavy plant or vegetation. Has a bit of a learning curve and if you are looking to just make a few trees, this should not be your first choice. TrueSpace 7.6 (now free) is pretty nice but the fact that MicroSoft bought it (and kill the development for it) means that it will start be out dated soon. It is great tool for weird and free flowing creations. Does not take long to master but it is not good to learn if looking for a job later on. 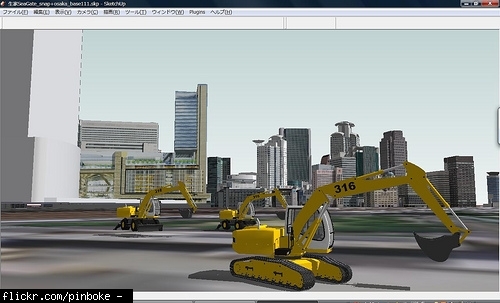 It is one such software that can be used for instant modelling and animation. But it has limitations if you go for customized work.